> Fototapeta>Tematy>Kwiaty>Green leaf. Exotic tropical hawaiian summer. 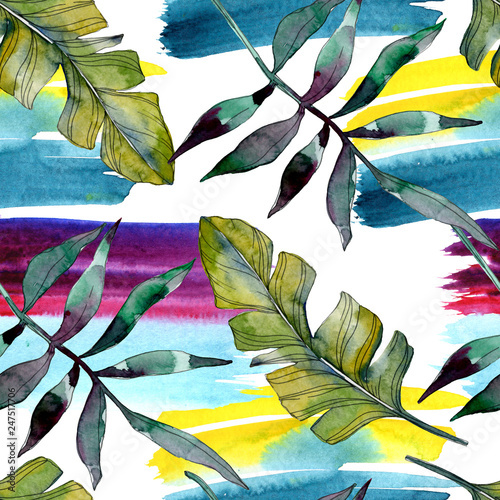 Watercolor background illustration set. Seamless background pattern.